Violent crime has Belize under international scrutiny once again, as another foreigner has been murdered in the first days of 2016. 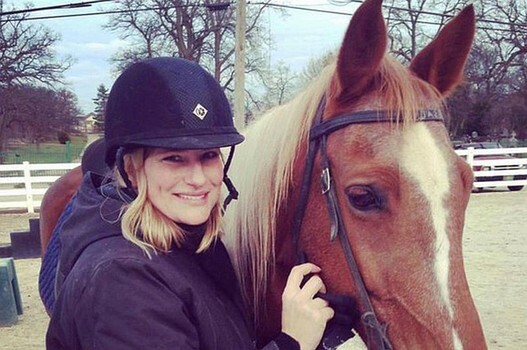 39-year-old American TV producer, Anne Swaney, was killed while vacationing in Western Belize. Swaney, executive producer of digital operations at ABC-Channel 7 in Chicago, Illinois USA was found strangled on Thursday, January 14th in the Mopan River near San Jose Succotz Village, Cayo District. Swaney’s death marks the 10th murder in Belize in the first 18 days of 2016, and she is the second foreigner to be killed, after Canadian film director, Matthiew Klinck’s murder on January 2nd. These crimes have raised questions about Belize’s safety to visitors, especially as international media has picked up the story on their fallen colleagues. The Belize Tourism Board (BTB), however, assures everyone that Belize is still safe to travel to. Initial reports on Swaney’s death indicated that she had been reported missing 24 hours before her body was found. She had been staying at the Nabitunich Resort, where she enjoyed horseback riding on the trails along the Mopan River. Owner of Nabitunich Resort, Santiago Juan, is sadden over the incident, and indicated that it was not her first visit to the resort. “She’s a repeat customer. She was here last year and returned this year to ride horses again as she normally does. Before she goes riding, she has breakfast then she does her stretches. As normal, she went down to the yoga platform to do her stretches. And that’s the last time she was seen alive, unfortunately,” said Juan. He went on to explain that by 3PM on Wednesday, January 13th they realized Swaney had not returned from her ride and was nowhere to be found. “When the police were called, they responded immediately. They brought out their team and their dogs. They searched for her until the night got too dark to continue. They came back very early in the morning, at which time they found the body of Swaney. The Police were with us and one of the officers spotted the body. We went with the canoe and they retrieved the body from the water. She was found floating in the Mopan River about three hundred meters from where she would be practicing her yoga,” said Juan. A postmortem examination certified the cause of death as asphyxia due to compression of the neck area, throttling and blunt force traumatic injuries to the head and neck. There were no signs of sexual assault. “The investigation is ongoing; we have a team of investigators working on the case. The post-mortem was conducted by the doctor and his result was that she died from manual strangulation. Also she had some blunt force trauma to the face. I do know that we had one individual detained for general questioning, a Guatemalan national. That person has been charged for illegal entry at this point in time. I cannot say that he is a suspect, but in the process of investigation, he was in the general area so he has been detained and has been questioned,” said Commissioner of Police, Allen Whylie on the investigation following Swaney’s murder. Swaney’s death has left a host of family and friends in Chicago mourning and reeling over the loss of their beloved. "Anne Elizabeth had a very short life. She had a very full life. It hasn't sunk in, what we've lost. But we've received an awful lot of calls that - no one loved her as much as I did - but a lot of people who care and they expressed that. We certainly appreciate it," said her father, Jack Swaney. He indicated that his daughter was an avid traveler and it was not unusual for her to travel alone to Belize. "She loved animals and she loved riding horses. She loved cats and so they were a very big part of her life. And she had lots of friends and she was very committed to that. I'm not strong. I'm a mess," said Jack Swaney. Several of her associates have also expressed their condolences following the news of her death. On January 18th the Belize Tourism Board (BTB) released a statement regarding Swaney’s murder. "Our deepest condolences are with Anne’s family and anyone touched by this horrible act. While this is a tragic situation that requires the full attention of the Belize Police Department, violent crime in Belize has seen a double digit reduction in the past year. Over one million people visited Belize last year, and while it is extremely rare for a tourist to fall victim to a violent crime, we will remain committed to the safety and security of all people who visit. Belizeans of all stripes have a reputation for welcoming visitors and tourists regularly commenting that their visits were relaxing and enjoyable. In fact, part of the reason this horrible crime has garnered such media attention is because violence against visitors to Belize is so uncommon. In the coming weeks, we plan to reach out to stakeholders and visitors, and will work closely with government representatives to ensure we are doing everything we can to provide visitors with the carefree, relaxing visits they have come to expect,” read the statement. In a second statement on January 19th to stakeholders, BTB appealed to industry partners to come together to prevent crime. “While crime against tourists in Belize is uncommon, her [Swaney’s] family and our community deserve justice. We will continue to work with the Belize Police Department in our tourism capacity to assist in their investigation. Moving forward, we will work with the Belize Police Department and advocate for an increased police presence to ensure the safety and security of everyone in Belize. In addition, the Ministry of National Security, Ministry of Tourism and Civil Aviation, the Belize Tourism Board (BTB) and Industry Partners are collaborating to proactively implement efforts on security and safety issues for preventive measures. Your suggestions on preventive crime strategies are welcomed at this time and can be submitted to the BTB via email at [email protected] As always, the safety of guests visiting your businesses, our cities and our country remains our top priority." 2016 commenced with a streak of tragedy, with one of the highest number of murders in the first few days of the year than any other regular year. "Despite our intervention efforts and our patrols countrywide, we've had a total of 10 incidents of murder committed across the country of Belize. Of those 10 incidents, we have made arrests in two cases. We are also looking for a number of persons in respect to two of those other cases and so we believe that four of those cases will be solved,” said Whylie. The US has also appointed Federal Bureau of Investigations (FBI) agents to assist in the Swaney’s murder investigations in Belize. While the FBI will offer assistance in any way possible, the investigation are still being led by the Belize Police Department under the Benque Viejo del Carmen Police Formation. One of the key from of assistance coming from the FBI will be on forensic analysis as Belize lacks the resources to do so. The assistance of everyone is been requested to curb the murder rates. To report crime contact your local police station, 911, or Crime Stoppers at 0-800-922-TIPS (8477).